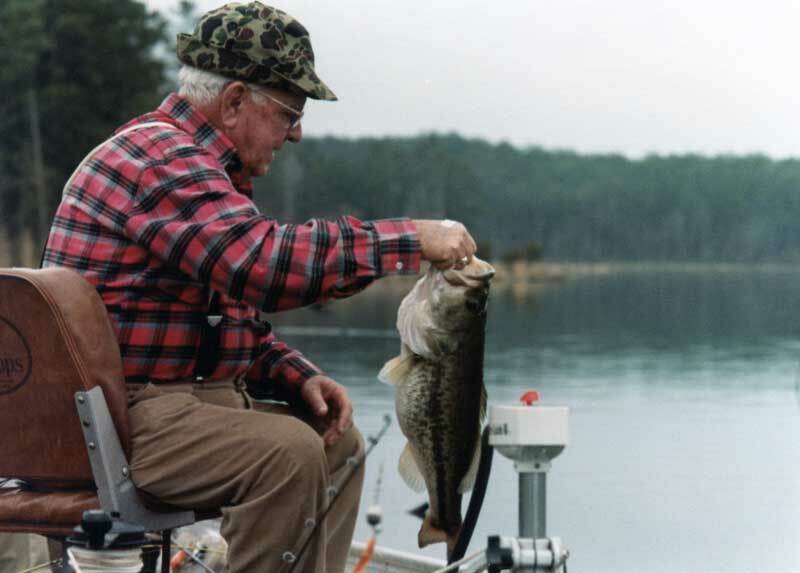 Welcome to Alabama Lake Lodge, a vacation rental property and private lake fishing club. It’s the perfect location for your family reunion, getaway, or group retreat. The lodge overlooks our 100 acre private bass fishing lake that is the heart of the Alabama Lake Lodge lake system. The property is surrounded by a secluded forest teaming with wildlife including a pair of American Bald Eagles. There is something for everyone here at Alabama Lake Lodge, Your Outdoor Paradise, so plan your escape today! Alabama Lake Lodge is located just outside of Aliceville, Alabama, only 40 miles west of the University of Alabama at Tuscaloosa. So if you’re searching vacation rentals for an Alabama Football game or BAMA event, come stay with us. Bring the entire family and enjoy the activities in Tuscaloosa, Alabama then escape to your own private retreat. ​What can be a better family vacation than to spend time with your family, fishing on a private lake, hiking in the woods, or playing cards in the Game Room? With sleeping accommodations for 10-12, Alabama Lake Lodge is ideal for multi-generational family vacations, so bring your parents, kids, and grand-kids. ​Is someone in your family planning a wedding or event at Southern House and Garden, Robinson’s Barn, Everhope Plantation, Foxwood Events, or Fair Oaks Farm? If so, plan for your out of town guests to stay with us! We’re only about a 30 minute drive to each location. If you're the family of the groom you can also host the rehearsal dinner at the lodge and save the cost of an additional location rental. There are several local catering services available that can help with the meal. Instead of cabin rentals for your group or church retreat, consider booking with us. The Great Room and Game Room provide plenty of space for group meals and activities. It is perfect for a Men’s Retreat or Girlfriend’s Getaway. We can accommodate a group of five couples for a marriage retreat. If you're a local business looking for hotel accommodations for employees or out of town clients, please get in touch. We'll be happy to work with your company to customize the lodge rental arrangements. Contact us to book your visit or for more information. We would love to help plan your visit to Alabama Lake Lodge. Alabama Lake Lodge is a fisherman’s dream. At the heart of this mature private lake system is the 100 acre Big Lake with Seneca Creek as a freshwater source. The Big Lake along with the Upper Lake of 27 acres are stocked with Florida Bass and Bream. Wanting to join a private lake bass fishing club? We offer Annual Fishing Memberships so you can bring your boat and a guest and fish all year long. At Alabama Lake Lodge you can have your own secluded fishing hole away from jet skis and party barges. Learn about Fishing Memberships.